The popular indoor-outdoor lifestyle does not stop at nightfall. 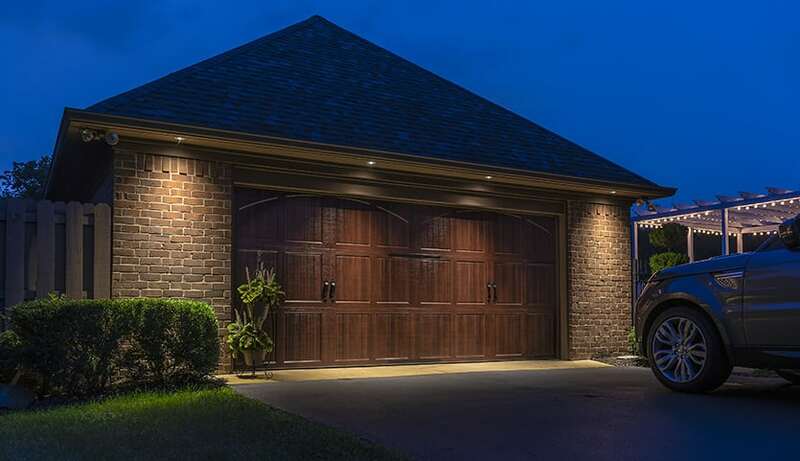 Whether it is your attractive backyard, stunning home, or a professional building, lighting can be an important tool in transforming your space to create a memorable atmosphere. Here, we look at some of the latest trends in landscape lighting that will illuminate your outdoor space no matter the season. 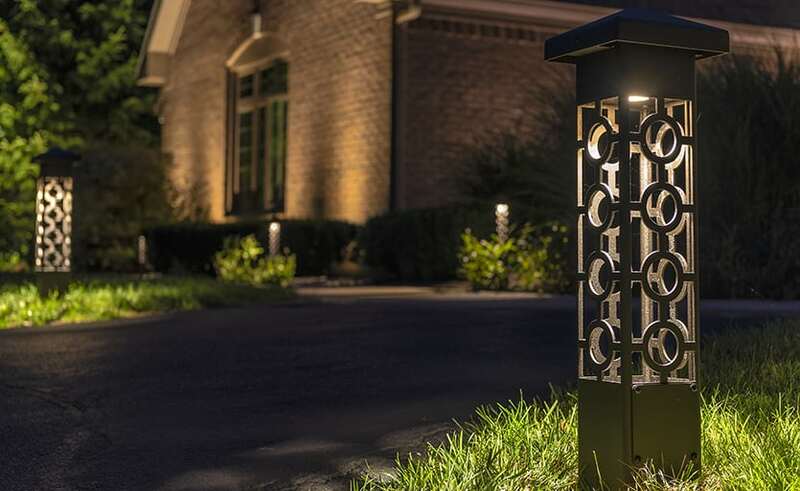 Outdoor lighting has many useful applications whether your goal is to create ambiance for a party or social event, highlight landscape features or for safety reasons. With so many technological advances coupled with stylish exteriors, the options really are endless. Linear lighting is achieved with strips of LED lights applied on the bottom edge of an overhanging step tread or integrated into hardscape materials. They illuminate areas that are critical for safe mobility and functionality. 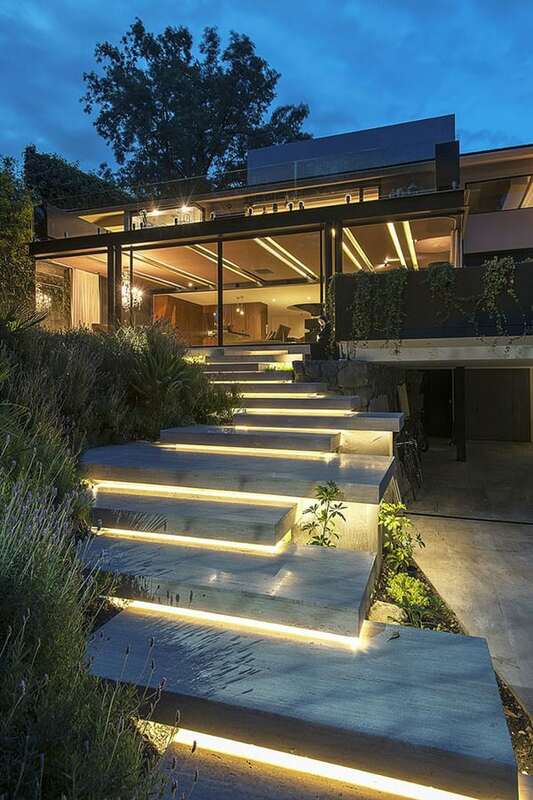 Popular applications of linear lighting are on staircases, around spas or sunken decks. Linear lighting has a cool, elegant and modern feel that provides avenues for conversation while operating as a safety feature as well. Recessed lighting is when the light is successfully integrated into the structure it is attached to. Recessed lighting is commonly used in roof soffits, decks or pergolas to shine down on the ground below. Another application of recessed lighting is using it for up-lighting. 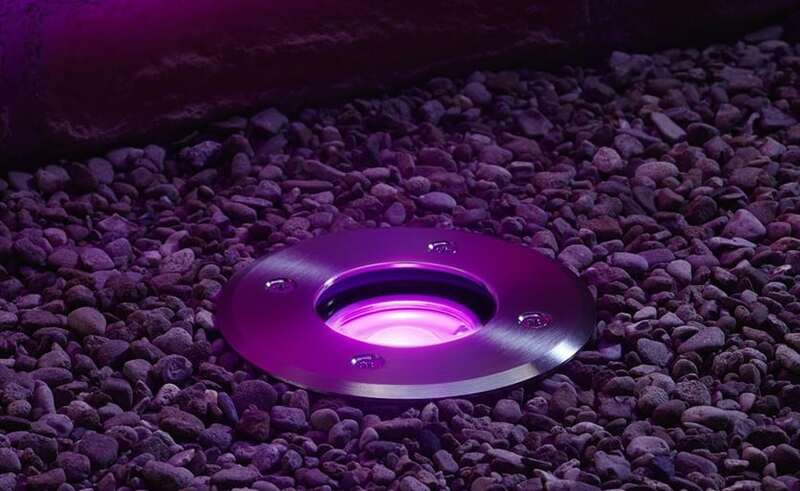 In this instance, lights are affixed flush into the deck or ground area facing up to illuminate building features or plant features where a normal stake mounted spot light cannot be used due to a solid surface area. The finished product is clean and effective while the light fixtures themselves virtually vanish away from view. Until recently, outdoor lighting fixtures were somewhat of an afterthought. Now stylish options are flooding the markets with brass and copper being the most popular finishes. Options that appear vintage or modern can emphasize the personality of the space while also creating a fun or traditional mood. With outdoor-indoor style spaces becoming so prevalent, it makes sense that lighting fixtures would reflect the interior-like feel of the space, playing off outdoor rugs or furniture to give a cohesive look. and are more energy-efficient. This saves the homeowner money over time. There are now options that can be controlled via a cell phone app which can connect with other landscape features such as pool covers, sprinklers, hot tubs and security cameras. Convenience meets safety with this growing trend. Color-changing lights can be integrated into landscape designs or applied under steps, walkways, or inside fountains. In an outdoor entertainment space, having the option to vary color can be transformative to more than just the ambiance. Studies have shown that color can change or enhance our moods. Cooler colors such as blues and greens create a relaxed feel while warm colors such as yellows and oranges give a welcoming invitation. Color-changing lights are a growing trend because they can shine a ‘whole new light’ on any landscape with the simple flip of a switch. Studies have shown that color can change or enhance our moods. Lawn bollard light stands tend to give off a modern, contemporary vibe. Traditionally, we have seen businesses and parks utilize these structures. Now there are more versatile and home-oriented options entering the market. There are bright LEDs or softer light depending on the mood you are trying to convey or their placement in your landscape. You can add a boost to a seating area or illuminate a path or the pool. There are many different styles to achieve the look you are trying to convey. Lawn bollard custom designs can play off your home’s architecture or landscape details. Aside from their aesthetically pleasing look, bollards also add depth and dimension in an area by casting shadow patterns onto hardscaping or nearby structures. Lighting is an important feature of any space whether it is indoors or outdoors. When applied properly, lighting can emphasize the features of an area while providing a mood for entertainment, relaxation or added safety. Whether there is a landscape feature, deck, pool or spa area, lighting design and installation can bring it to life after nightfall and add value to the space. To start utilizing some of these landscape lighting design trends, consider upgrading old lighting for more energy-efficient options or a stylish lighting fixture that plays off your decor. 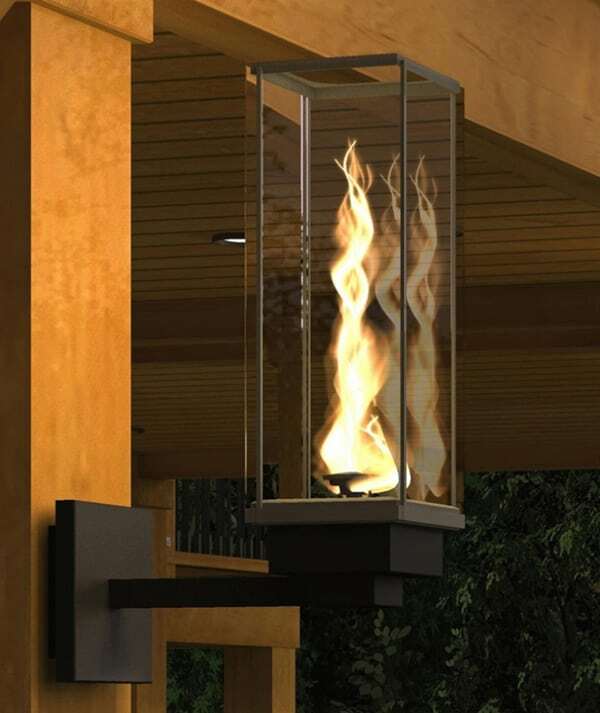 Never has there been so many options designed to fully enhance your outdoor space with lighting. 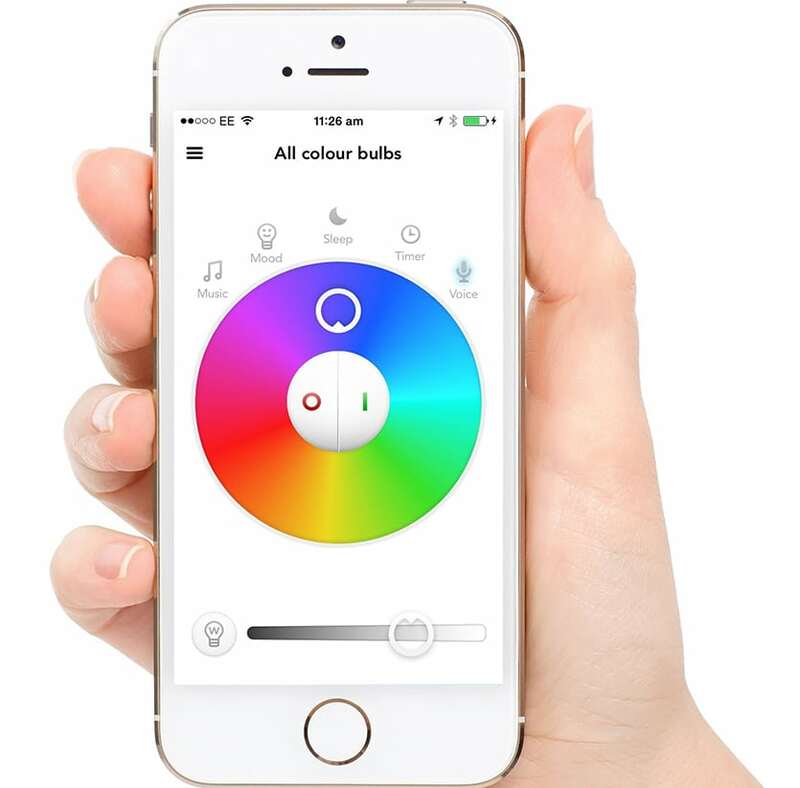 Contact your local Lighthouse Lighting Designer for more information about making your home shine.